It’s hard to pick our favorite videos around the Zildjian/Vic Firth office. After all, we are very fortunate to work with some of the best drummers in the world, so having to single out any one of them is equivalent to picking your favorite child. But in the spirit of all the “Best Of", " End of Year” lists, we thought we would give it a try. For this list, we polled our office mates for their top picks, and in no particular order, here are ten videos our staff really, really liked this past year (we won’t call them favorites). If you haven’t seen them in a while, or haven’t seen them at all, watch now, and take a journey back through 2017. As always, we want your input too, so tell us which video you would add to the list in the comment section below! tHUNder Duo - Gabor Dornyei & Kornel Horvath perform "Hang Samba"
Zildjian Performance - Shariq Tucker plays "7 to the Power of 6"
If you liked these videos, be sure to subscribe to our YouTube Channel so you don’t miss out on what we have coming up in 2018! 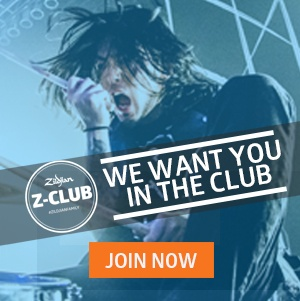 Free Minus Drum Track from Zildjian Artist Kaz Rodriguez!